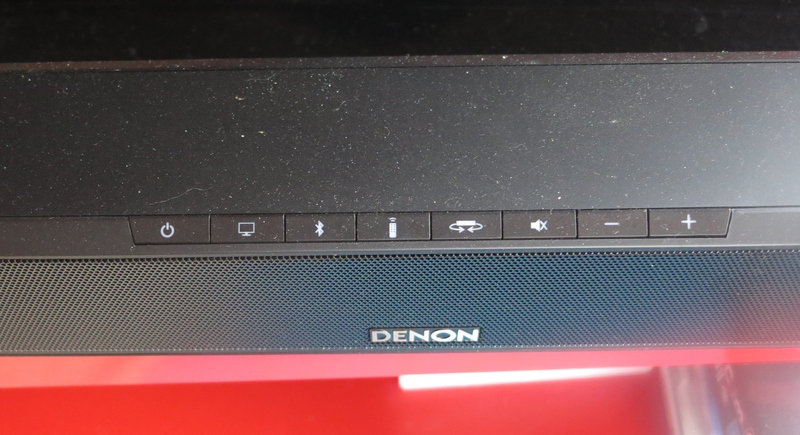 Now I am reviewing the Denon DHT-S514 soundbar which is in the other form-factor for this class of device. Here, it is a long tube or bar that has the speakers and is placed in front of the TV or mounted underneath the TV if it is wall-mounted. 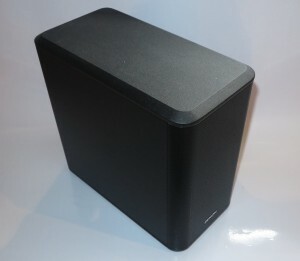 These devices also need to use a subwoofer to reproduce the bass notes due to the small size of the speakers and enclosure. It can use HDMI connectivity but the ARC functionality isn’t all that polished especially whein I tried to connect this soundbar between a TiVo PVR and the HDMI-ARC-equipped Samsung Smart TV. Here, it preferred to play the TiVo’s audio rather than the Samsung TV’s audio when I selected the Samsung TV’s integrated tuner using the TV’s remote. 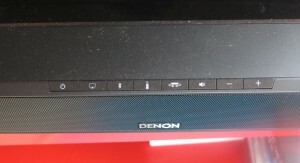 What really worked well in a surefire manner was to connect the Denon soundbar to the TV’s SPDIF digital output and have it learn the TV remote’s volume and mute commands for regulating its sound level. 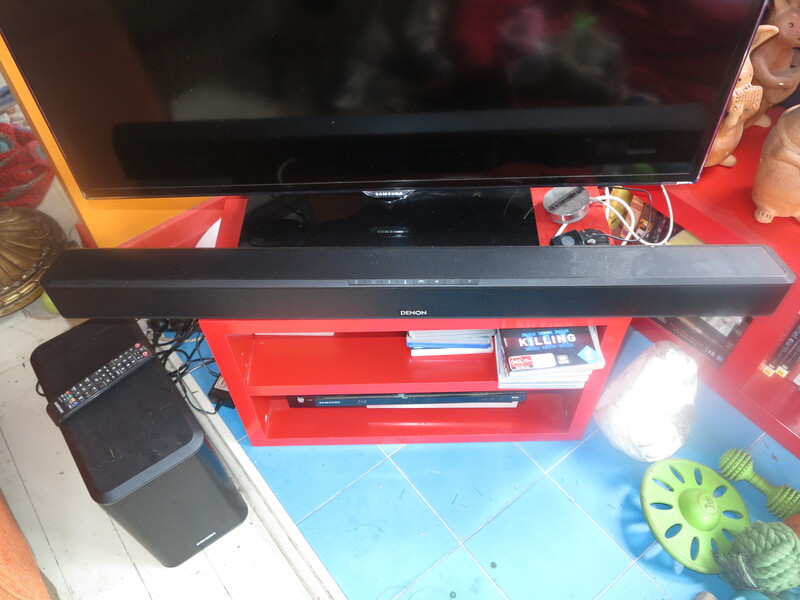 The soundbar also comes with an infra-red repeater which can work well with very-low-slung TVs where installing the unit gets in the way of the TV’s remote “eye”. Installing the subwoofer was effectively a simple “plug and play” operation where there was no need to “pair” it with the soundbar. This is due to an automatic routine that takes place when it is first powered up while the soundbar is on. I found that the Denon DHT-S514, like the Denon DHT-T100, worked well on the “Movie” mode which provided the “focused” dialogue while music and effects were placed “further out”. This appealed to most TV content that we watched including some “studio-based” TV content like “The Voice” as well as some good-quality British and European drama content. The subwoofer was very effective with the bass response and I found that having its level control set between 45-50% yielded a certain amount of punch to the sound without it being excessively boomy. Sometimes you may have to roll its level control back slightly when you are playing bass-rich content through the soundbar at very high levels. As well, you may have to increase the subwoofer volume in a room replete with plenty of soft furnishings like wall-to-wall carpeting or heavy drapes. With audio equipment, I turn the volume up with music-based content to see how loud it can go before it starts to clip and sound awful. I can run the Denon DHT-S514 at 80% volume and find it fills the large open area with clear sound before it starts to sound awful. 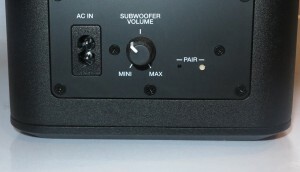 The “night mode”, which is accessible by you pressing on the “sound mode” button for a long time until the lights dim, does provide a compressed sound and contain the bass. This would be effective for people who watch content late at night without disturbing others. I had noticed that the sound came across clearly across all TV content requirements with the voices having that bit of “fullness” in them. Sound effects came across with a distinct “punch” and this wasn’t just limited to the highly dramatic effects associated with stunts. Even ambient sound gained a bit of that “fullness” while hearing someone knock on a door or a door closing in the movie had that sense of authenticity about it. It didn’t treat music like a second-class citizen but gave it that full “hi-fi” sound even for someone singing in “The Voice”. There is also that apparent wide sound separation even if you are viewing “from the wings” when you are watching the TV content through the Denon DHT-S514 soundbar. There are a few items that Denon could work on when refining their soundbar products especially to improve their useability. 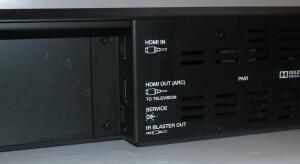 One would be to improve the HDMI behaviour so that you can use the remote control for an HDMI-ARC-enabled TV to switch between the TV’s sources and any HDMI sources connected directly to the Denon soundbar. 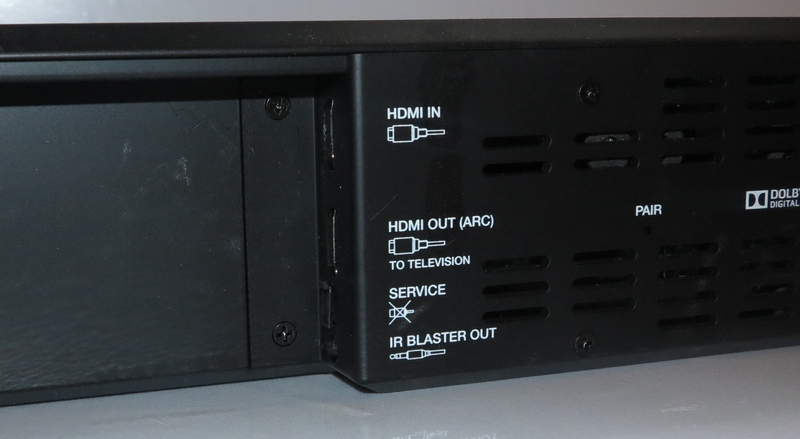 This could make things easier if you connect the soundbar between a cable box, Blu-Ray player or other video peripheral and the TV because all of the available HDMI sockets on that set are occupied by your video peripherals. Another would be to provide an improved “night-mode” indication such as on-unit LEDs that light a different colour while in this mode rather than dimming, which may be hard to notice visually. Similarly, the “night mode” could be made accessible through a separate button on the soundbar itself because most of us will drive this system with the TV’s remote rather than juggling two or more remotes. As for the subwoofer, an improvement that could come for this setup could be the ability to adjust its volume at the soundbar or its remote control rather than adjusting a small knob on the subwoofer itself. This could effectively make it easier to adjust the bass response to your liking. Use of advanced sound-management technologies like those offered by Audyssey or Dolby in these soundbars can go a long way in providing consistent volume or bass levels when you are watching different video content. 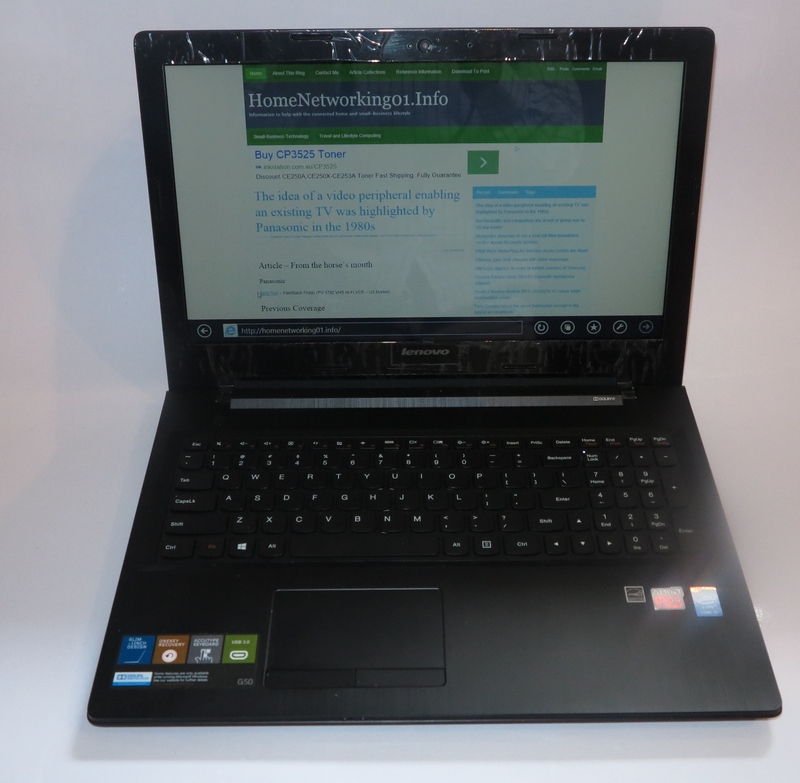 The Bluetooth could also support A2DP source functionality so the soundbar can be used with a Bluetooth headset for late-night listening or to help a person with hearing limitations hear the TV content. The Denon DHT-S514 soundbar could become a more powerful alternative to the DHT-T100 speaker base when you are thinking of a dedicated-device solution to improve your TV’s sound reproduction. These are especially important for those of us who use a stereo system to play our music and don’t want to head down the path of the “full-on” surround-sound system. They are also important for those of us who find it difficult to cope with different operating procedures or juggling different remote controls when it comes to watching TV. This would come in handy with larger lounge areas or lounge areas that are replete with heavy soft furnishings that absorb the sound too easily because of its increased output power. As well, it would work well with larger TVs or sets that are mounted on the wall or on an adjustable bracket because of the lightweight soundbar that can be mounted on the wall under the TV or anchored to the adjustable bracket along with the TV using appropriate mounting strips.